The wreck of Flor de la Mar, a Portuguese ship thought to contain gold from the sack of Malacca in the 16th century, has reportedly been found off the coast of Semarang in Indonesia. Malaysia has already put a tentative claim on the proceeds from the wreck. In an interview with the New Straits Times, Professor Khoo Kay Kim explains the reasons why he thinks figures such as Hang Tuah and Hang Li Po identified in the Malay Annals were probably mythical. The Malaysian minister for Information, Communication and Culture says that the proposed revision of the founding of Malacca to 1262 (from 1400) needs to be confirmed by experts from outside of Malaysia before being accepted by the ministry. A research team commissioned by the state of Melaka (Malacca) is proposing to push the founding date of the Melaka Sultanate from 1402 to 1298. The change of date is based on an alternate version of the Malay Annals, and it’ll be interesting to see what evidence is presented for the proposed change. From what I understand, the Malay Annals aren’t historically accurate – the earlier chapters explaining the founding of Melaka by Parameswara, a prince from Palembang reads more like a mythological account rather than actual fact. Also, the annals themselves were only commissioned in the early 17th century. Malaysians and Singaporeans would be familiar about how a Sumatran prince named Parameswara founded the Malacca Sultanate, but was there a settlement already existing before the prince’s visit? The state of Malacca is hoping to fund researchers interested in uncovering the history of Malacca before it was founded as the Sultanate of Malacca in the 14th century. … and rightly so! The break-in, reported two weekends ago, saw the loss of three replica Portuguese pistols and eleven even more valuable kris (Malay daggers) from the History and Enthonography Museum in Malacca. 16 July 2007 (Brunei Times) – Today’s short history series focuses on Malaysia. Again, the information here is scant and sometimes contradictory. Scientists have found archaeological evidence of human inhabitants in the Niah Caves, Sarawak, from about 40,000 years ago.The earliest settlers on the Malay Peninsula came from southern China over a period of thousands of years. They became the ancestors of the Orang Asli. During the 1000’s B.C., new groups of migrants who spoke a language related to Malay came to Malaysia. These people became the ancestors of the Malays and the Orang Laut. Small Malayan kingdoms existed in the 2nd or 3rd centuries AD, when adventurers from India arrived and initiated more than 1,000 years of Indian influence. About A.D. 1400, a group of Malay-speaking migrants came from Srivijaya, a trading kingdom on the island of Sumatra.These newly arrived immigrants established a commercial kingdom called Malacca. Read more about the history of Malaysia. Previously on The Many Places of Singapura… we saw the first of the Lion Cities in Vietnam and then we talked about two possible locations for other Singapuras in the kingdoms of Chi Tu and Pajajaran in the Malay Peninsula and Java respectively. In this final installment of The Many Places of Singapura, we’ll explore the origins of reigning Lion City – Singapore, where we’ll find fiction passing off as truth, and where truth is stranger than fiction! And when they reached the shore, the ship was brought close on and Sri Tri Buana went ashore with all the the ship’s company and they amused themselves with collecting shell-fish. The king then went inland for sport on the open ground at Kuala Temasek. Sri Tri Buana then established a city at Temasek, giving it the name of Singapura. Contrary to popular belief, Singapura was not named after a lion (which indeed would have been a very lost lion), but in fact an unidentified “strange creature” that was thought to be a lion! 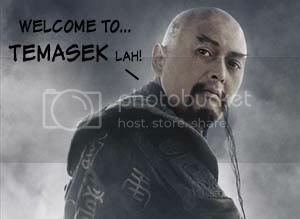 The source of this account – the Malay Annals – must also be seen as a product of its times. 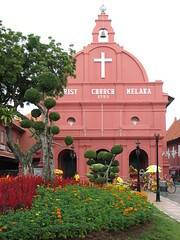 The annals were first compiled in the 16th or 17th century, when the Malacca Sultanate had moved to Johor after being ousted by the Portuguese. The Malay Annals does little to explain to its audience – who would have heard the history rather than read it – why a Malay Islamic sultanate’s precursor would have an Indic name. The early part of the annals, which includes the founding of Singapura, are thought to be romanticised, mythologised accounts of a more shady past. Other historical sources provide supplementary and contradictory information: according to the Alfonso D’Alberquerque, the Portuguese general who conquered Melaka, a Palembang prince named Paramesvara (Parameswara) fled to Singapura and usurped rule. When the king of Patani (in the Thai peninsula), who was brother of the former ruler, came to seek revenge, Paramwswara fled north to found Melaka. In the Malay Annals, Parameswara was fifth in the line of rulers of Singapura, who was attacked by the Javanese Majapahit and was forced to flee to Melaka, which he founded. Whatever the case may be, as we may well never truly know, the name Singapura lived on through the Malay Annals. This name and location was later picked up on by Sir Stamford Raffles in the 19th century who sought to build a settlement in Singapore, but also as a symbolic move to legitimise a British foothold in the region. From the lack of textual references from both the Chinese and Srivijaya, it certainly appears that Temasek/Singapura was not geographically significant until around the 14th century, and its current importance is due largely to the British rather than any former glory. However, the different accounts collectively imply that a settlement existed before Parameswara, and typical of other populated areas of the region would have adhered to a syncretic Hindu-Buddhist religion. John Crawfurd, the first British resident of Singapore noted in his diaries the remains of an ancient settlement on Fort Canning Hill, which he attributes as remains of a Buddhist temple and monasteries. It is in this setting, then, that the name Singapura is not entirely out of place. And that wraps up this series on The Many Places of Singapura! I hope you found this series interesting, as much as I had found it interesting to write about it. A majority of Malays are content to look only as far as the Sultanate of Malacca in the 15th and the 16th century, apparently accepting the era as the golden age of ancient, classical or medieval Malay civilization. Thanks to the education I received through the Malaysian system, I had the same perception too and I do think even Malaysians as a society in one way or another accept Malacca was the greatest civilization in ancient, classical or medieval Malaysian history. My love for history has allowed me to delve far beyond Malaysian textbooks. While Malacca was a great empire, a greater civilization was Srivijaya, a empire that was almost forgotten. I truly believe that Srivijaya was that brilliant light that stayed bright from nearly a millennium. Malacca was a just spark, though brilliant as it may be. Srivijaya was one of the greatest empires in the Malay Archipelago. It lasted for possibly about 1,000 years and had interacted with so many proud kingdoms that existed during its time. The Chinese civilizations were the source of Srivijaya richness through a tributary system, which gifts were exchanged between the courts of the two emperors. The exchange was not exactly free trade but it was trade nonetheless. In the east, there was the Chola of which the great Rajaraja was king. In most cases, the two outsiders exerted stronger influence on Srivijaya culturally, economically and politically though from time to time, Srivijaya exported culture to China due to it being the center of Buddhism outside of India. Apart from that, Srivijaya left a mark on one of the great kingdoms of Southeast Asia â€” the Khmer Empire. Perhaps I shall write a short primer on Srivijaya… after I finish my Many places of Singapura series.